Every day individuals are injured or killed by defective products. These injuries generally result from one of three causes: defective design, manufacturing error, or a failure to warn the consumer about possible harm. A product liability claim can compensate you for personal injury or wrongful death caused by a defective product. The attorneys at Breakstone, White & Gluck, P.C., of Boston have handled many product liability cases and we have the skills, experience, and resources to help you. We handle complex personal injury and wrongful death cases caused by negligent product manufacturers. Our personal injury attorneys have developed relationships with top experts in the field of product liability—including medical professionals, engineers, failure analysts, and others. Our product liability specialties include defective and recalled medical devices. We are located in Government Center in Boston and handle cases throughout Massachusetts. If you feel you have a case, act to protect your rights. Call us for a free legal consultation at 617-723-7676, or toll free at 1-800-379-1244, or use our contact form to send us an email. Your legal rights need to be protected after an accident caused by a defective product. You should hire an experienced product liability attorney as soon as possible because immediate action may be required to preserve all of your rights. All accidents in Massachusetts are governed by a Statute of Limitations. Some accidents also have shorter notice provisions, which may be very strict. When choosing a product liability lawyer, choose one who definitively understands the many complex laws and nuances in this highly regulated field and who has the resources and experience to evaluate and handle your case. An experienced attorney should have an established network of experts in the field of product liability that can be called as consultants and witnesses. Our firm has this experience. Just as important, our firm knows how to take care of the legal details so you can recover from your injuries without worry. Who Is Liable for Personal Injuries Caused by Defective Products? Product manufacturers, distributors, designers and any other parties in the "supply chain" have a responsibility under Massachusetts product liability law to create and distribute safe products. Product testing must be performed to ensure the safety of all products before distribution. The manufacturer has a duty to design against product failure and to eliminate, as best as possible, hazards from products. Some products are still hazardous, and this must be clearly stated in the form of a warning. If the manufacturer creates a defective product or fails to give reasonable warnings of the product's dangers, the manufacturer will be liable for any injury you have suffered. Consumer products are regulated by the Consumer Product Safety Commission, the Food and Drug Administration, the Department of Agriculture, and the National Highway Traffic Safety Administration. Medical devices fall under the jurisdiction of the Food and Drug Administration. These governmental bodies may sometimes recall products which are defective. You should be alert to product recalls to avoid injury or death from defective products or contaminated food. 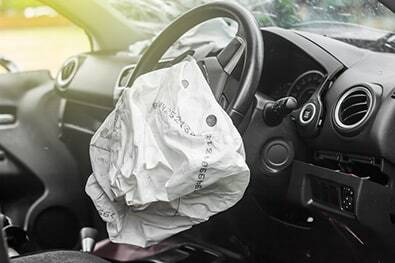 If you are involved in an accident because of a defective product that you own or control, it is essential that you preserve evidence—keep the defective product and do not modify it or take it apart. Store it safely in a secure location. If the product is owned or controlled by another person, immediate legal help may be required to make sure the evidence is preserved. Prompt investigation of the scene of the accident may also be necessary, especially if the injury was caused by a vehicle such as a car, truck, motorcycle or boat. Immediate investigation will ensure that all evidence is properly evaluated and all witnesses are questioned. By immediately hiring an experienced product liability lawyer, you can rest assured that your case will be investigated from your side and that the proper experts will be brought in to evaluate the defective product. Your case will be prepared for trial from the very start. And of course, it is important to seek prompt medical attention if you become injured as a result of a defective product. You should always continue to follow the advice of your medical professionals. Let the experienced product liability lawyers at Breakstone, White & Gluck help you after you have suffered a loss from a defective product. We have the experience to get you the results you deserve, and the compassion to help you during the case. For more information on selecting a Massachusetts product liability lawyer, please see our page on Choosing a Personal Injury Lawyer. If you feel you have a case, it is vital that you act immediately to protect your rights. Please call us at 617-723-7676, or toll free at 1-800-379-1244, or use our contact form to send us an email. Get your free legal consultation today with Breakstone, White & Gluck, P.C. We look forward to helping you.